Our impact on Earth is now so significant that we should declare an entirely distinct geological epoch - the Anthropocene - according to the Working Group on the Anthropocene (WGA). The group of experts presented the recommendation to the International Geological Congress on Monday 29 August, drawing on a study published in Science in January. The majority of the group have voted to formally designate the Anthropocene and recommend that its start date should be around the 1950s. “Being able to pinpoint an interval of time is saying something about how we have had an incredible impact on the environment of our planet,” Dr Colin Waters, principal geologist at the British Geological Survey and WGA secretary, told The Guardian. Epochs form part of the Earth’s official timeline. All 4.6 billion years are split into Eons, Eras, Periods, Epochs and Ages - as designated by the International Commission on Stratigraphy. The Earth’s current epoch, the Holocene, started at the end of the last ice age, around 12,000 years ago. In comparison, the current Eon (in British English Aeon) is the Phanerozoic, which started some 540 million years ago. The Anthropocene is a new, present day epoch, in which scientists say we have significantly altered the Earth through human activity. These changes include global warming, habitat loss, changes in the chemical composition of the atmosphere, oceans and soil, and animal extinctions. Although the new epoch has yet to be officially declared, the WGA believes we should now consider it distinct from the Holocene. A larger version of this graphic is available here. If ratified, it would sit above the Holocene in the top left of the chart above. 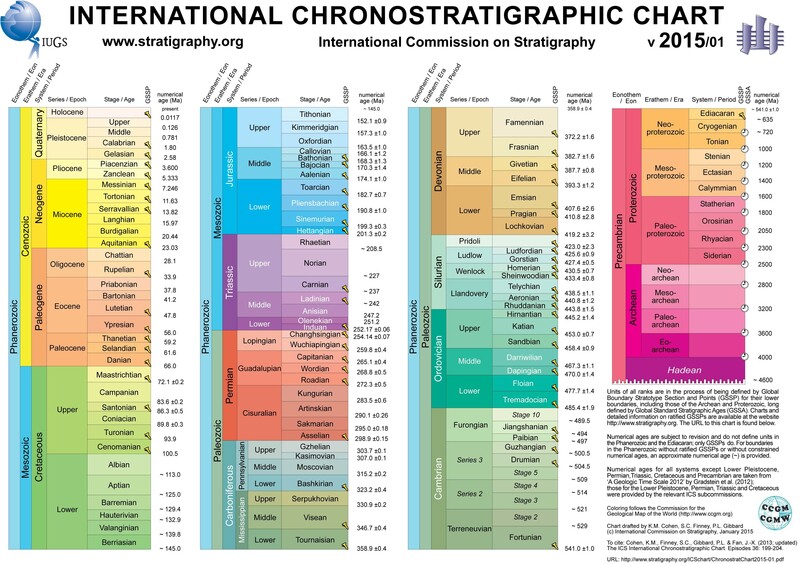 However, for it to make it onto the "official" timeline, it first needs to be approved by the International Commission on Stratigraphy and also by the executive committee of the International Union of Geological Sciences. The next step for the WGA is to identify a "golden spike" – a global marker in the environment that indicates the start of the new age. This marker should be visible years – even millions of years – into the future for scientists to see. This would allow them to identify the start of the Anthropocene. For example, the end of the Cretaceous epoch is defined by the presence of iridium in sediment around the world. This was spread from the meteorite that signalled the end of the dinosaurs. The panel is split on what they believe the best spike will be for the Athropocene. Fallout from nuclear bomb tests in the 1950 is seen a likely candidate. This could be found in ice layers, marine or lake sediment or potentially stalagmites and stalactites. Other candidates include plastics, concrete particles, or soot and pollution from power stations. 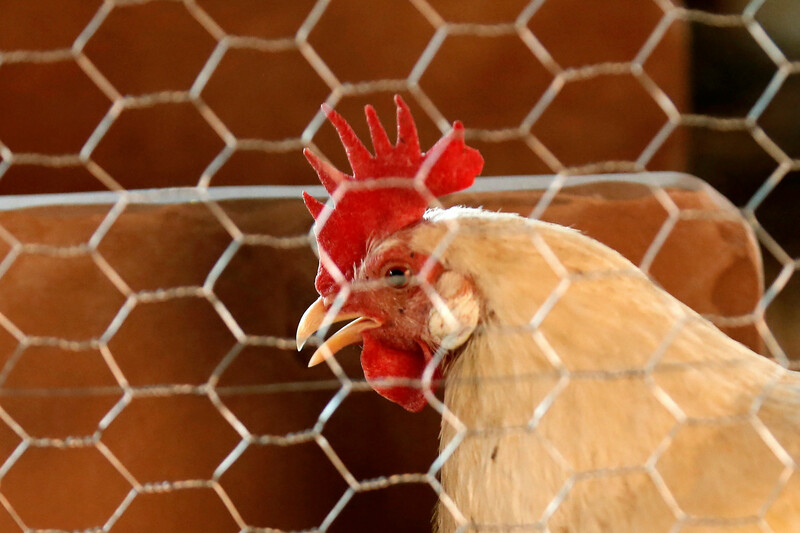 Scientists have also suggested that fossils from domestic chickens could be a defining marker that could define the Anthropocene. If, as the WGA believes, we are now living in a new geological age, it is a stark reminder of our impact on earth. The group believes our activity has set the Earth system on a different trajectory. "In the last century we have had such a huge impact that we’re actually taking the planet away from that natural [climate] oscillation and changing the trend for global temperatures from what should have been a cooling trend to a warming trend,” explained Dr Waters to The Independent.